Building a mobile app for iOS is a great way to increase both brand awareness and sales. But, it can be expensive to hire a developer and time-consuming if you’re not intimately familiar with the build process. 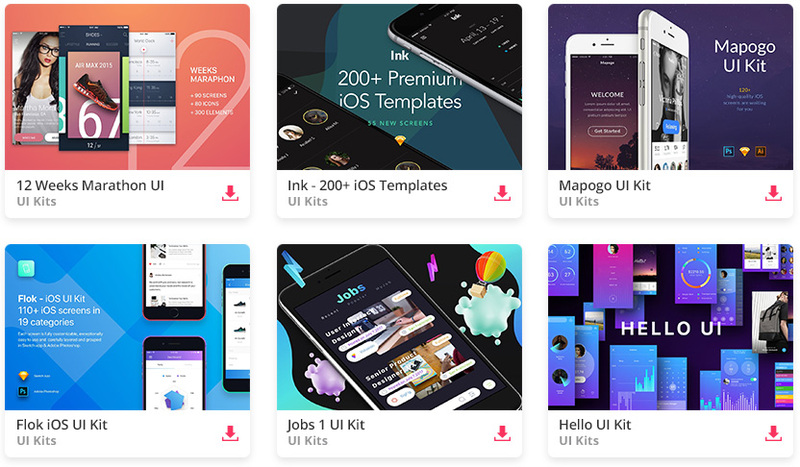 That’s the beauty of all-in-one app templates. They come with popular features built right in and many are quite easy to customize. Templates are available for a wide-array of uses, as well. Note that some templates require that you have access to a computer running Mac OS X, among other tools. Please see each template’s description at the link provided for a full requirements list. woopy is a universal (works on both phones and tablets) listings/chat app template for iOS. It allows users to register and post classified sales ads. Users can upload up to three photos and a 10 second video description for each item. Buyers and sellers can also chat with each other directly through the app. Mokets is a mobile ecommerce app that makes selling your products easy. The template comes with a product and data management back end that can be accessed through a web browser. With support for multiple shops, each one can have its own administrator. Customers can register for an account and like, review or favorite products within the store. Stripe payment gateway is built in. 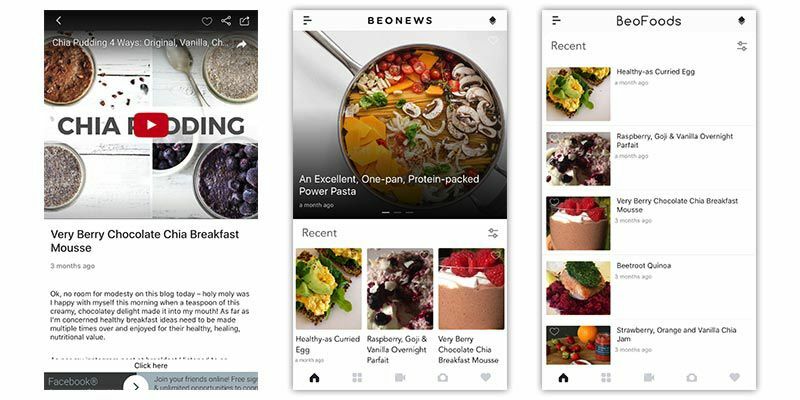 BeoNews will turn your WordPress website into a native iOS app (Android support is also available). Utilizing the WordPress REST API, this app template will grab the contents of your website and display it using React. The app can handle your site’s multimedia content and supports both Facebook and Google social login. Push notifications can be created through your website using a plugin. Store Finder is aimed at anyone who wants to help users find multiple locations via their mobile device. Stores, restaurants or any organization with more than one location can benefit. Locations can be added without the need to release an updated version of your app. You can add images, contact information, social sharing and reviews to each location. The recently added Routes feature will guide customers right to your front door. Radio Play will take your mp3, pls, m3u, aac or other compatible audio stream and allow listeners to tune in through their iOS device. The app will display scrolling song and artist info, allow listeners to share songs on social media and works with AdMob mobile ads to help you generate revenue. Plus, it’s universal, meaning the app will display on iPads as well as iPhones. My Social Network could be a great solution for those who need to set up a small, private network of friends or colleagues. Features like real time messaging and post feeds are there to help teams communicate. But there is also the ability to send ‘gifts’ to friends and make in-app purchases. So whether for fun or business, you have the functionality you need. A web-based admin panel lets you control user accounts and posts. Also included is a public-facing website that can be used as an alternative to the iOS app. ChurchYangu is an app template with the aim of helping churches live stream their services to iOS devices. The app can be fully customized and comes with detailed documentation. Graphics are included to help you achieve the look you want. Videos can be brought in from outside services such as YouTube or Vimeo. Audio files can also be embedded. Notepad provides an easy way for users to take notes on their iOS device. Users can take notes with text, video, audio and photos. There’s also a password protected mode, notifications and notes can be shared via social media. The app can be customized with your branding and includes PNG/PSD files. This could be an interesting template for organizations looking to personalize it towards internal note-taking. Sales calls, maintenance visits, etc. would be an ideal use. SuperView is a solution aimed to bring your single page web application to iOS. It can be customized via a single configuration file. The app template features responsive HTML5, push notifications, social login, an offline mode, in-app purchases and geolocation functionality. AdMob is also integrated, allowing for further monetization. Pro Shot is a photo editor app template. Users can take advantage of powerful features like tint, temperature, custom text, stickers and exposure – all of which can be done in the live camera view. There are lots of other filters and adjustments available as well. Photos can be easily shared via social media. It’s a universal app and will work on iPads as well as iPhones. Allows for in-app purchases and supports AdMob to help you bring in extra cash. Whether you’re looking to bring in some passive income or better promote your brand, the templates above will help you achieve your goals. Since they already have many of the most vital and popular functionality baked in, you’ll only have to make a few relatively small customizations to match your brand. The cost and time savings of this approach will do wonders for both your budget and your sanity. Eric Karkovack is a web designer with well over a decade of experience. You can visit his business site here. In July 2013, Eric released his first eBook: Your Guide to Becoming a Freelance Web Designer. He also has an opinion on just about every subject. You can follow his rants on Twitter @karks88.